All Daisy Goldsmith wants is to get out of her small town, leaving behind the bullies who've taunted her. Attending culinary school in New York has always been her biggest dream---a dream she's not confident enough to pursue. After all, she's nothing but a "fat cow." But when her brother's best friend, the man who's always secretly held her heart, moves back to town after college, everything changes for Daisy. The Goldsmith house has always been Jon Roberts' sanctuary from the crazy of his life. With a broken and dysfunctional family, Jon embraces the Goldsmiths like his own. After getting a real glimpse of the woman Daisy's becoming, Jon is torn between his loyalty to the family and his desire for his best friend's little sister. As Daisy and Jon spend more time together, they can't resist the attraction between them. Once they've had a taste, nothing can keep them apart--not their dreams, their families, or the difference in their age. 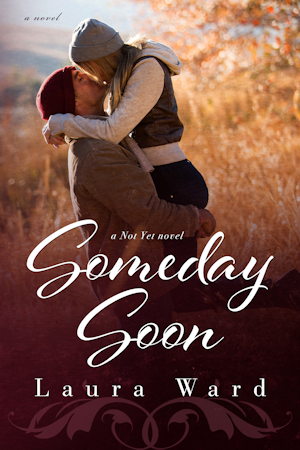 Can someday turn into forever or will they bite off more than they can handle?